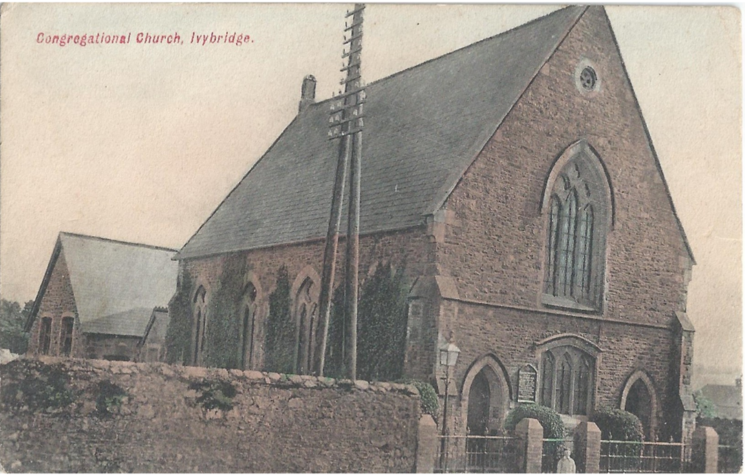 Ivybridge stands at the junction of the four ecclesiastical boundaries of Cornwood, Harford, Ermington and Ugborough. The boundaries of these parishes met at the Ivy Bridge. The ecclesiastical district of Ivybridge was formed in 1836. The existing parish church of St John the Evangelist is actually the second church to bear that name, not only in Ivybridge, but in the same churchyard. The foundations of the old chapel of St John can be seen just above ground level to the right of the gates of the churchyard, on a large area of grass without graves. The original entrance gates are still in evidence in the south east corner. This chapel was built in 1789 at a cost of £800 on ground donated by Sir F. L. Rogers. In 1835 his son financed its enlargement to meet the needs of the growing population. The chapel, together with the burial ground, was consecrated by the Lord Bishop of Exeter in September 1835. Twenty years later, the growing population found the new chapel “unsuitable for enlargement and restoration”, and a fund was opened to finance the building of the present parish church. For many years this old chapel existed as a preserved ruin in spite of many attempts to have it demolished. It was not until 1925 that the Church Council finally decided, in the interest of public safety, to remove the ruins of the old chapel, the contractors taking the stone to build houses in Bridge Park, Ivybridge. In 1881, with the church building fund having reached £2,000, work commenced on the new building and its foundation stone was laid by Lord Blachford, Lord of the Manor, on 8th June. The consecration of the church and the graveyard by the Right Reverend Dr. Temple, Bishop of Exeter, took place on 27th June 1882. The new church was not, at first, as it appears today for it lacked the north aisle. This was added in 1887, following a promise by Lord Blachford of £200 towards the cost. In 1812, Sir John Rogers provided a plot of land in Ivybridge for the building of a Methodist meeting house or chapel. This original site is now Chapel Place. 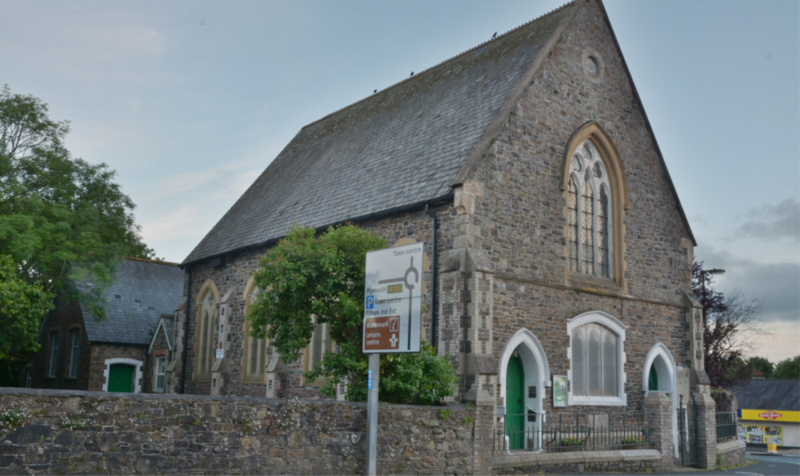 The Methodist Chapel was registered on 13th January 1813 with the Bishop of Exeter. 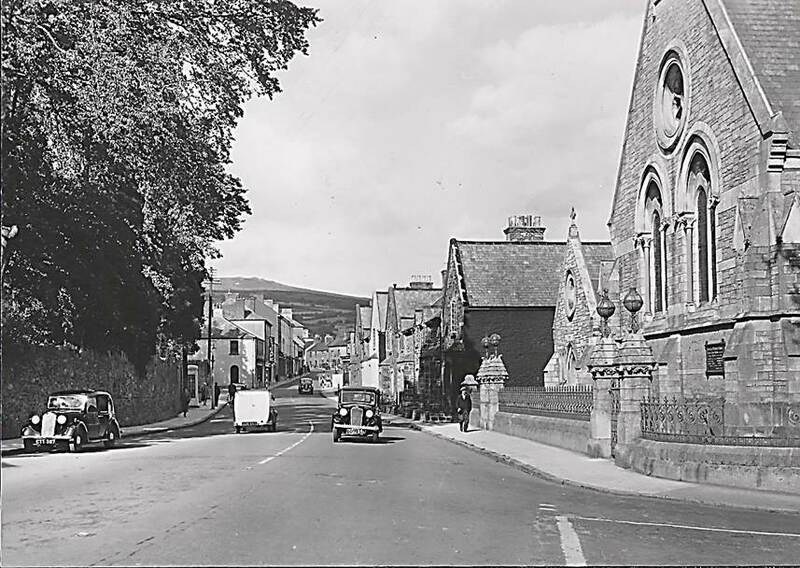 The building seated 120 at a time when the population of Ivybridge was about 1,000. In 1860, John Allen, the owner of Stowford Paper Mill, along with other members of the congregation, rebuilt and enlarged the chapel at a cost of £900. It provided seating for 300 and room for 100 children in the gallery. By now the population of the parish had reached 1,700. John Allen, a devout Methodist, was determined to find “a worthier local habitation” for the congregation and purchased the lease of a new site in Fore Street. The foundation stone was laid on 15th July 1874 by Mrs Edward Allen, his daughter-in-law. The church was constructed at a cost of £6,000 and Allen expected his employees from the paper mill to attend every Sunday. The church interior was remodelled in 1993 with the upper floor added and a new glass entrance made onto Fore Street. The pews were replaced by chairs soon afterwards. The church has been classified as a Grade II listed building. Reference: Pamphlet – Sharing Life Sharing Faith, Ivybridge Methodist Church. 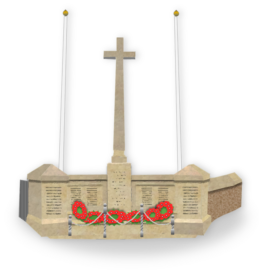 So as not to upset church goers, the war memorial was built on land equidistant between the Church of England and the Free Churches in the village. Formerly the Congregational Church, its early history is somewhat sketchy since no records were kept before 1862. The Church minutes book indicates that the date of the commencement of the church to be 1842, but there are records from other sources which indicate that the church was well established long before this date. 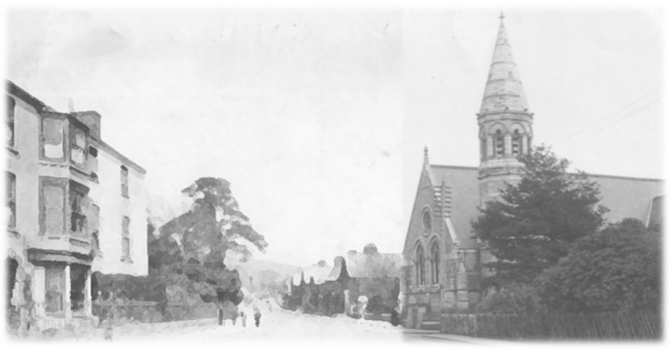 The Church originally started in a house in Exeter Road which is still standing and called Trehill Lodge. Later the Church moved to a room behind the Bridge Inn or Bridge Cottages and at it was during this period that the church was officially recognised by the Congregational authority. In the late 1860’s it was decided to build a church. John Allen, who owned the paper mill, donated the land and in June 1868 the foundation stone was laid. The church was opened in June 1869 at a cost of £850. £150 had been raised by collections with a £700 debt to be raised. There was no pulpit, music was played on a harmonium, light by gaslight and heating by a tortoise stove. In modern times the church has been redecorated and the church pews have been removed and replaced with comfortable chairs and smart carpet laid. The reception area has a glass partition making a suitable room for smaller groups. The church has now merged with the Baptist Church and is the Ivybridge Evangelical Baptist Church. 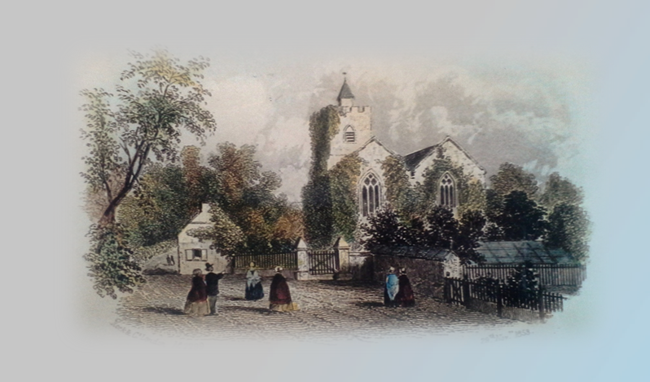 Reference: Extracts from Ivybridge Independent Chapel – Congregational Church – A History 1824 – 1993 compiled by Phoebe A Phillips. The Priory was started in 1910 when an order of French nuns, the Sisters of the Sacred Hearts of Jesus and Mary, purchased the site from Major F. A. London. The style of the present building is classical late Victorian – Edwardian. The building has cavity walls to the front elevation which probably countered the prevailing westerly winds, whilst the rear walls are solid and more normal for that period. The building of the convent was complete by 1912 and the nuns established a school with boarders within the convent and accommodation for a Chaplain was built. Later, after the nuns had departed, a separate building was erected to house the school in the grounds. The school moved into its new premises in 1933. In 1932 the nuns had vacated the Priory and it became the home to Augustinian Recollects. 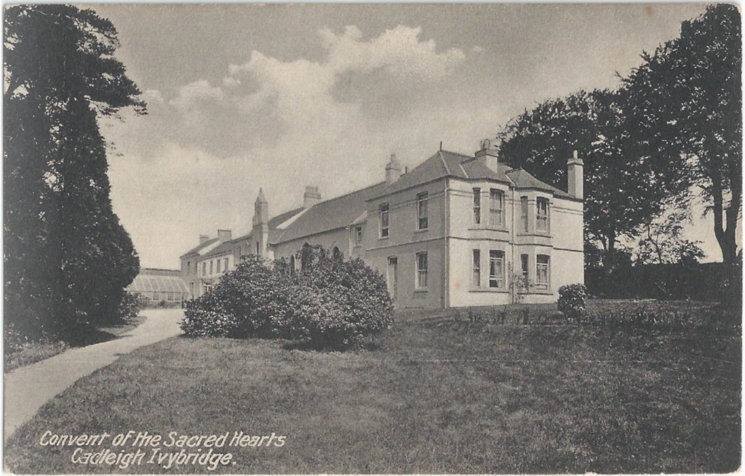 The friars remained in Ivybridge until June 2016, when they bid farewell and the parish came under the auspices of the Catholic Diocese of Plymouth. Special thanks to Ivybridge Camera Club for the modern photographs of all the churches. 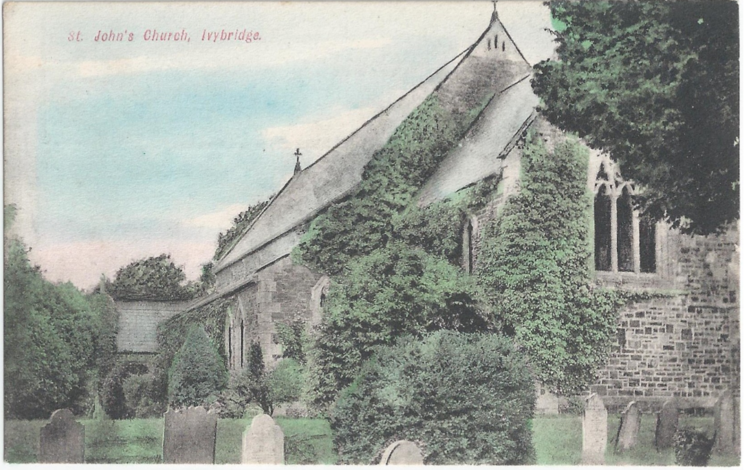 Ivybridge stands at the junction of the four ecclesiastical boundaries of Cornwood, Harford, Ermington and Ugborough. The boundaries of these parishes met at the Ivy Bridge. The ecclesiastical district of Ivybridge was formed in 1836. “In memory of Elizabeth, wife of John Allen, who died 9th of September, 1875, aged 74 years”. “In memory of John Allen who died 17th October 1877 aged 76 years“.